If I had not seen this colorful set of corn wagons myself,I would never believe it was real. It was a veritable rainbow of farm implements heading down the road in rural Lancaster county. There was a small VW show not too far from home yesterday so I decided to venture out for an hour or so and check things out. I was immediately drawn to these cool VW classics,with their sleek lines,cool colors and unique design. If I had hit the lottery, I might just buy one because they really are the epitome of cool and laid back, but after talking to two owners, I realized there won’t be any sitting in my driveway anytime soon. I asked what would something like this sell for? I silently guessed maybe $40,000, and was quickly flabbergasted when one owner told me $125,000,and the other said $150,000 for theirs. I would have the thing roped off if it was mine,and the one owner told me they have had kids climb all over it at shows till they quickly tell the parents what its worth. they really do make a statement with their sweet style and design. Some had safari windows that are basically a flip out front windshield, which I was told were a necessity in south America where many of these originally were located. The safari window allowed air to blow through because it was like an oven inside. 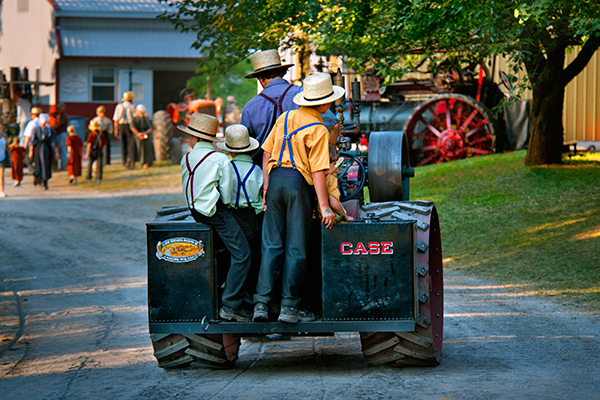 Dad gives his five boys a lesson in tractor driving at the rough and tumble tractor event. Same plane as yesterday but captured at sunset.After the sun went down, I used flash to illuminate the silhouetted plane allowing the shiny details to be revealed. 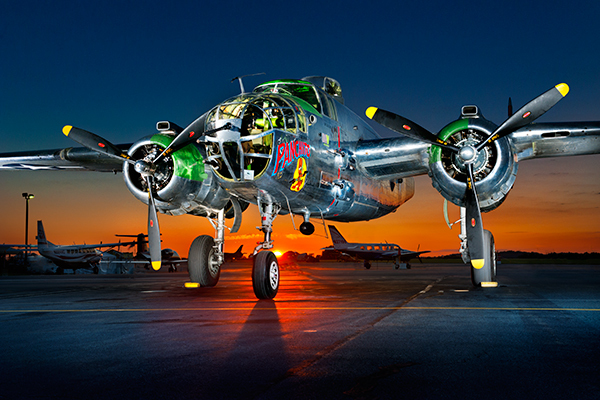 This is a shot I did at sunrise at the Lancaster Airports community days this past weekend. 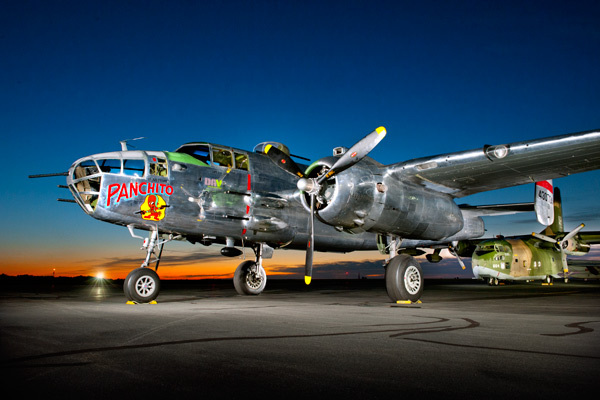 In the foreground is the Delaware Museum foundations B-25 Panchito and in the distance is the C-123-K Thunder Pig. I used multiple flash pops to light the plane in the pre-dawn light until the sun came up. These shiny planes are a real challenge to light and it was good practice for me. I must admit I do not know exactly how this contraption works but I believe it is a threshing machine used to separate grains from the stalk. 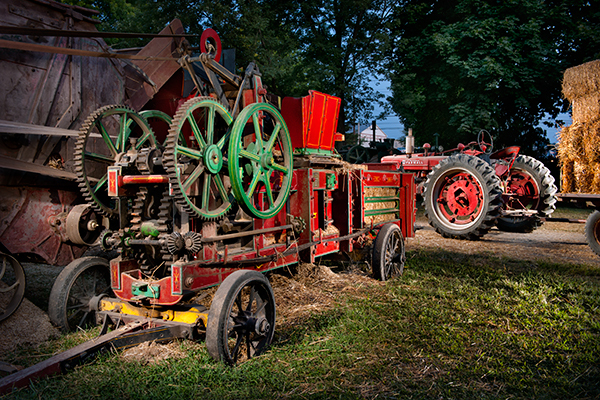 It was being demonstrated at the threshermans reunion this past week.I shot this with flash at dusk when everyone was watching other events. 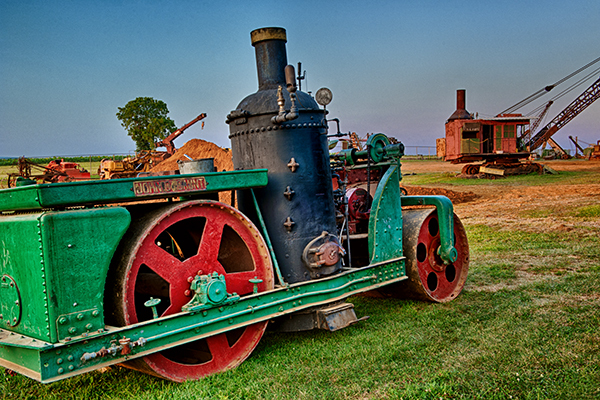 Old machinery can be quite amazing in its intricate design and construction. Some serious old iron sits in a field at the rough and tumble association.